There's been a bit of a brouhaha over some drama with YA author Stacey Jay's recent Kickstarter campaign. 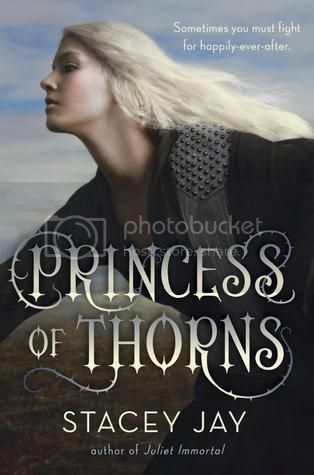 After her Princess of Thorns series was dropped by the publisher due to lackluster sales, Jay reasoned that moderate sales could still make the rest of the series feasible as an independently published project. She put together a Kickstarter campaign, asking for $10,500 to fund the next book. That sum included printing costs, cover art and her living expenses. It looks like she got some backlash from the internets about asking for so much for her living expenses. There's a storify with some reactions from fans. She wrote a dramatic blogpost, taking down her Kickstarter request, and announcing her decision to retire from YA writing for a while. What really happened here? I was surprised to see her take the Kickstarter campaign down, simply because a few people questioned it. I agree, wholeheartedly, that artists and writers should be paid for their work, and sadly, it's something that the general public often needs to be educated about. With my own background in theatre, I know too well how common it is to be asked to take on artistic projects for no pay, simply for the "exposure" and I must say how very unreasonable that is. My landlord wouldn't take a round of applause as sole payment for an apartment, you know? It's been pointed out that Jay's main problem may simply be the way she worded her request. In my opinion, I did think she sounded a bit defensive about asking for living expenses, which may have caused the somewhat feral reaction. As a professional writer, she really should have made sure to craft her request more confidently. If she was already feeling somewhat wounded about being dropped from her publisher, that may explain why she wasn't able to push back to those who questioned her expenses. All in all, a surprising turn of events - what a shame Jay didn't feel comfortable enough to push back her detractors, let the Kickstarter stay as-is and wait to see if the support for funding would eventually come through or not.